Nema 34 high accuracy 4-wire bipolar stepper motor with 6.5Nm holding torque, 1.8 deg. step angle (200 steps/revolution), excellent quality direct sale by manufacturer. This is a high precision 4-wire bipolar stepper motor, size in Nema 34, 1.8 deg. step angle (200 steps/rev), body in 120mm, good quality and manufacturer direct sale. 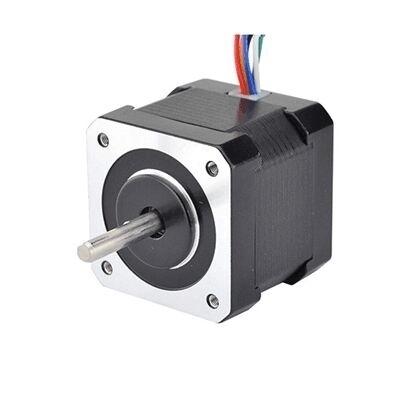 The Nema 17 stepper motor is a professional and high precision stepper motor with 1.8 deg. step angle (200 steps/revolution), 2 phase 6 wires, high holding torque. This is a professional and high precision stepper motor. Higher precision can be achieved using half step/micro-stepping modes available on many stepper motor controllers. 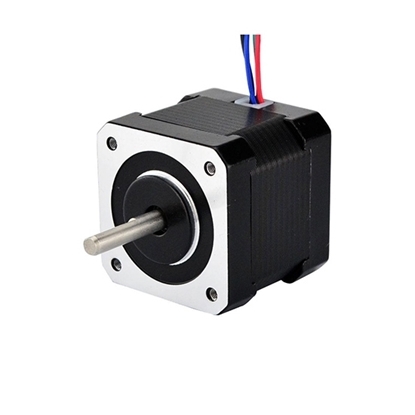 6A Nema 34 stepper motor, 4 wires bipolar stepper motor with 1.8 degree step angle, can produce a maximum holding torque of 6.5Nm. Tips: What difference is between holding and braking torque? Holding torque of the stepper motor is an important torque index parameter of stepper motor, indicating the stepper motor doesn’t sends out pulse under the circumstance that the rated current is powered on, namely the locked torque at the moment when the stepper motor is powered on and doesn’t rotate, the largest torque of the stepper motor. After rotating at certain velocity actually, the working torque of stepper motor will be decreased along with the rising velocity. However, actual working and holding torque is not the same concept, there may be great difference between the both. The stepper motor is at hold mode. The output power is used for heating and it is the largest working condition of heating. 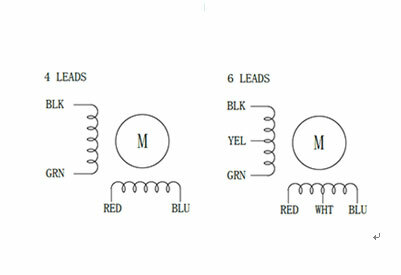 In general, the holding torque of the stepper motors of the same series and length is basically the same, but there is great difference in velocity torque if the inductance is not the same. As for the braking torque of stepper motor, it indicates the locked torque under the circumstance that the motor is not powered on, one torque parameter smaller a lot than the holding torque. As the reference torque, braking torque is generally not used as the product control index of motor manufacturer. To realize good smoothing performance of motor, the manufacturer will give considerations into reducing the indexes of braking torque as far as possible. However, some users will also make use of the braking torque to work. Under the circumstance that there is very light load for the axis Z, the consideration will be given to fix the load with the braking torque parameter to prevent the axis Z from falling when the stepper motor is at power outage. In this way, the cost for installing the brake can be saved. 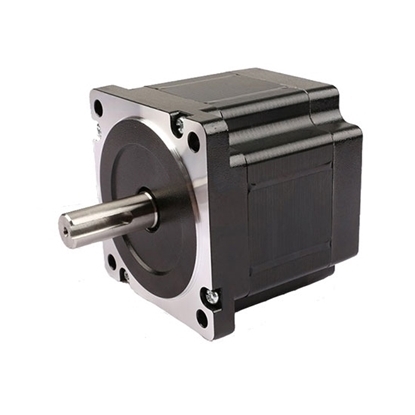 In general, as for stepper motor with large holding torque, its braking torque is also large for the magnetic field of permanent magnet is strong. As for the stepper motor with large holding torque, its working torque is also large when the motor rotates at low velocity. However, along with the rising working speed, the working torque will be more and more associated with the parameters such as inductance of stepper motor and drive voltage, etc..